Since 1989 , Grande Vitesse has become very successful at evaluating and fashioning new technologies, for the purpose of providing our clients more productive tools, to apply toward their trade. 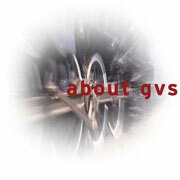 The employees of GVS take pride in their work and treat each client (each sale) as if it were our only one. We tirelessly pursue perfection in every VTR, server, storage, and GVSAN solution that is installed, making sure that our hardware and software products integrate well with existing client product lines. GVS centralized workflow and MCR technologies give our clients the edge over their competition, by improving their workflow, enhancing their communication, and offering them new channels for sales/revenues. Commitment to quality and customer satisfaction coupled with innovative (customized) product solutions and years of real industry experience have given Grande Vitesse the edge over our competition: Partnering with GVS can help you gain a greater edge over yours.